Grove Team Keller Williams: What Does a Home Inspector Do? Most residential resale real estate contracts in Texas provide buyers an opportunity to purchase a period of time called the "option period" in which to complete their due diligence. 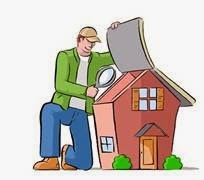 Buyers usually begin with hiring a state licensed general inspector. 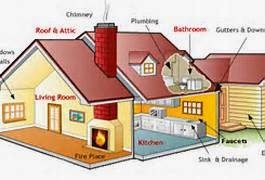 This inspector examines the interior and exterior of the property looking for indicators that appliances, systems, structural elements, and other features of the home are broken, malfunctioning, or in need of maintenance. As required by the property, the pool, security system, or sprinkler system may be inspected. The items that the general inspector investigates are too numerous to mention here. However, the major exterior elements include roof, gutters, wood trim, porches, driveways, and drainage. In the inside of the home, the inspector examines windows, walls, and ceilings. Additionally, all appliances and plumbing fixtures are operated. The attic is also checked for evidence of past and active roof leaks and amount and condition of insulation. When hiring a general inspector, remember their primary role is a visual inspection. The inspector can only report what he or she can see at the time of the inspection. Consider the general inspection to be a snapshot of a home's condition. No testing is done that involves disassembly of equipment or systems. It seems obvious, but the inspector cannot see behind walls. If the general inspector notices a potential problem, it is noted on the report, and the general inspector recommends a specialist be called. These specialists might include air conditioning and heating contractors, structural engineers, foundation companies, plumbers, roofers, or electricians. The general inspector is chosen and hired by the buyer. All specialists submitting bids also work on the buyer's behalf. For this reason, payment for all inspections is the responsibility of the buyer.